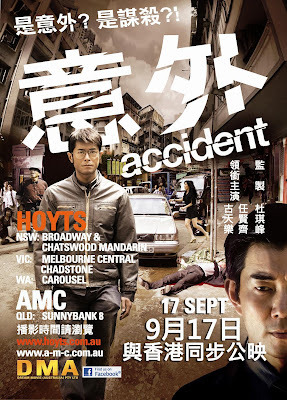 Accident by Hong Kong director Soi Cheang, and produced by Johnny To's Milkyway Image, premiered in competition at the 2009 Venice International Film Festival. It is a very well crafted action thriller about a team of assassins who orchestrate elaborate executions made to look like accidents. 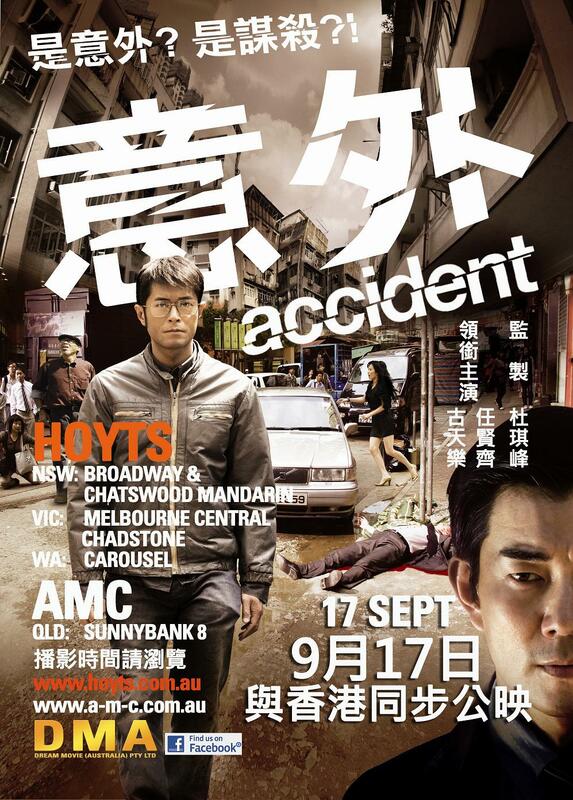 With a brilliant performance from Louis Koo, excellent cinematography, and a captivating story, Accident is one of the finest Hong Kong thrillers in recent memory. Never heard of it but the hitman/mechanic angle is interesting.